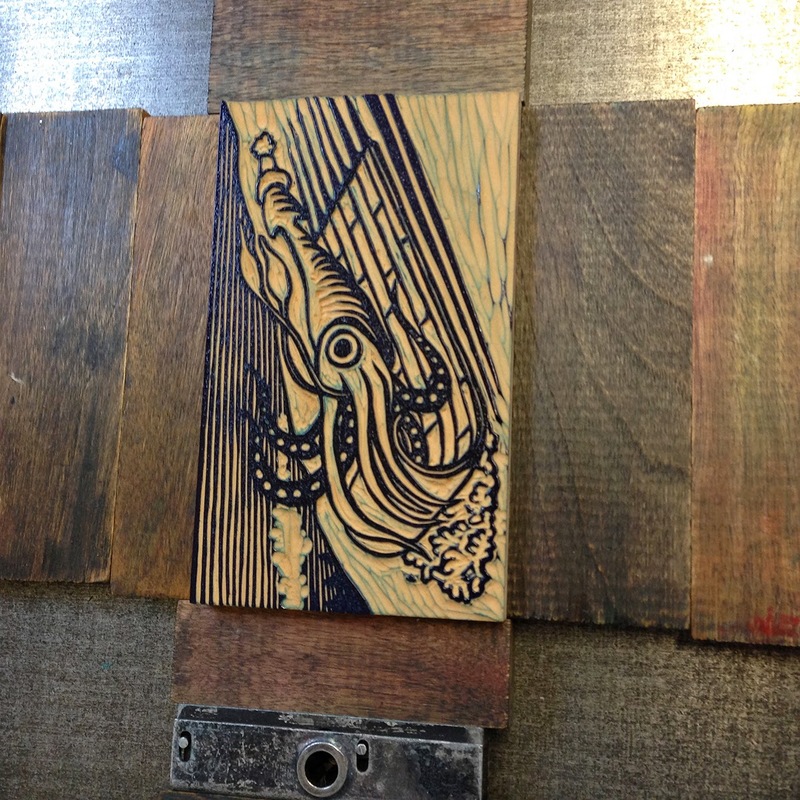 Students and community members can learn how to carve and print relief blocks here in the Book Arts Workshop. Usually we work with linoleum blocks, but wood, rubber (more for rubber stamping than running through a press), Sintra board and other relief printing materials are fair game as well. 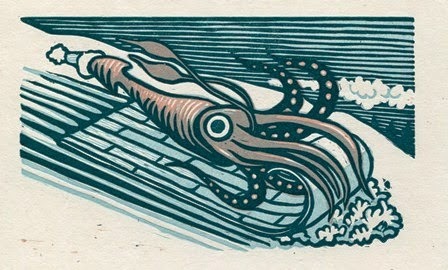 This image of a sledding squid came about as a drawing in my sketch book, then became the idea for a simple holiday card. 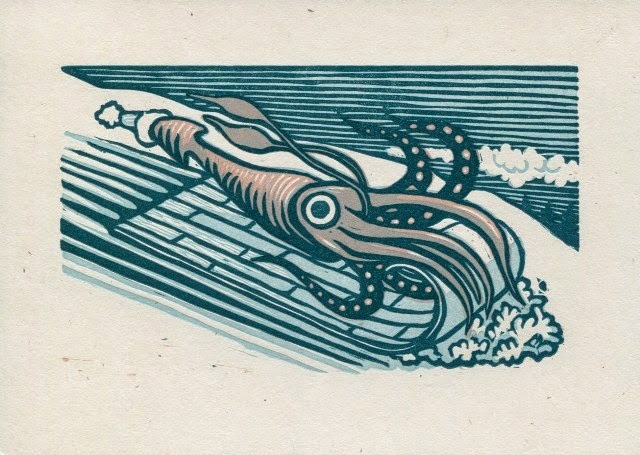 Of course nothing stays simple and it soon became a three-color, three-block linoleum relief print. Here’s a little about how it was created—at least the printing process—where the idea came from is hard to say. Here’s the drawing as it appears in my sketchbook. First I drew the image in pencil onto a 3 x 5 mounted linoleum block—remembering it had to be backwards or wrong-reading, so it could be right-reading in the print. Since this is a view of a ski hill near our house, I wanted it going downhill to the right—like my view (seems I drew it going the wrong way in my sketchbook!). Once I had what I wanted, I went over the drawing with ink. I use a dip pen and ink to draw on my blocks because I like the thick and thin quality of the line, which I follow when carving. A sharpie works nicely too. Best to use a regular tip Sharpie rather than a fine tip because you’ll want to have thicker lines to carve. 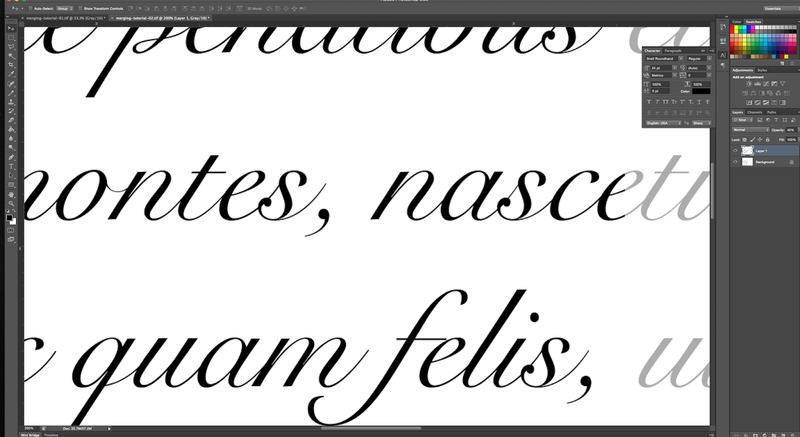 Very thin lines will be weak in linoleum—and not very forgiving if you don’t have a steady hand. Toning the block makes it easier to see where I've carved or not. A thin layer of ink or paint works nicely. There’s drying time involved with ink or paint (oil paint anyway). This time I used a marker that was handy. I ended up liking the color so much that I matched my first print color to it! In this photo you can see where I began carving the block after the toned color dried. I carved the first block making a few decisions and edits to the drawing along the way—carving the lines in the sky, adding the trees at the edge of the hill and other small things. Because it’s a relief print, I cut out all the areas that I didn't want to print. You can see in this photo I still had some carving on the sled and the snow to do, but it was almost done. You can use linoleum carving tools like the ones Speedball sells or you can use wood carving tools. For something this small I like to use my set of Dockyard Micro Carving Tools. You can get them online from Woodcraft. Any set of small wood carving v and u gouges should also work well. McClain’s in Portland OR has some really great tools especially for print-makers. 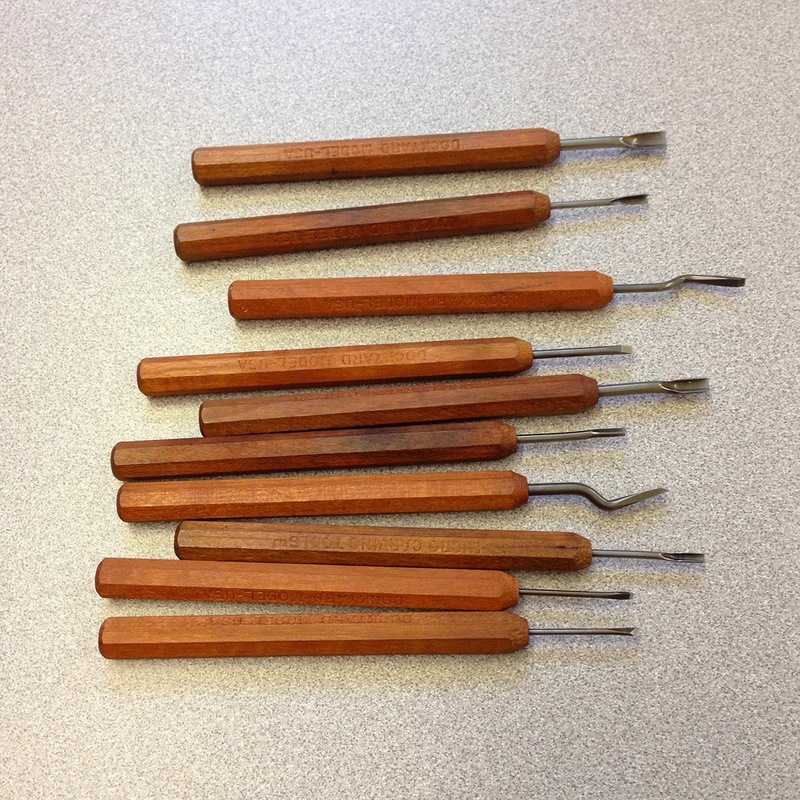 Here are the Dockyard Micro Carving Tools. 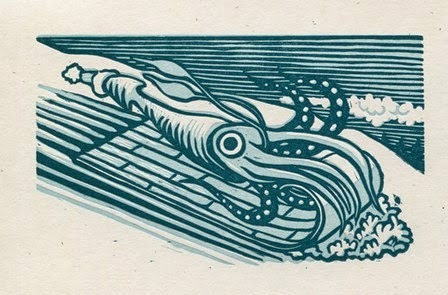 Once my block was carved, leaving the surfaces I wanted to ink and print raised, I printed a proof with my first color. To print the block I locked it up on the bed of our Vandercook SP15. I cut my paper so it would be over sized. It’s easier to print a larger sheet of paper on the Vandercook, so I didn't want to cut my paper to the finished size before printing. After I printed a proof and carved a few unpleasant stray bits off my image I printed the run of my first color—the dark blue-green. 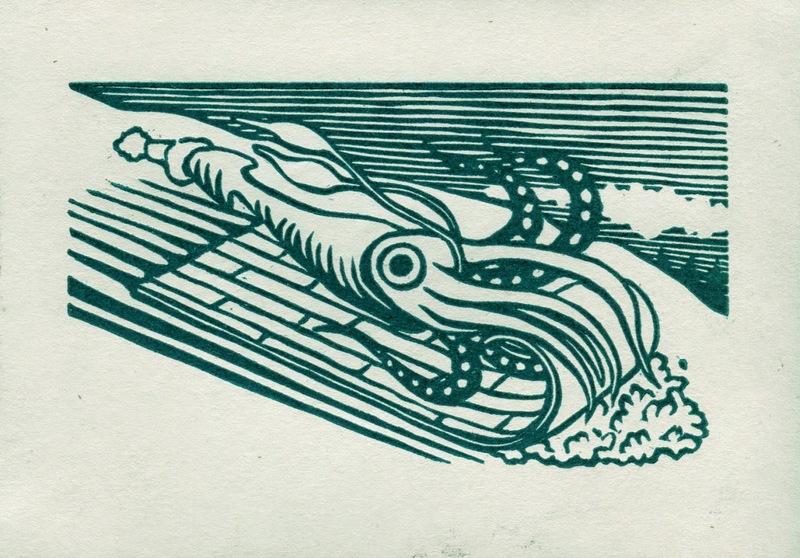 Usually I would print light colors first, then dark, but after Gaylord Schanilec suggested printing dark to light during a wood engraving class I took with him at Oregon College of Art and Craft this past summer, I thought I’d try it with my linoleum block. 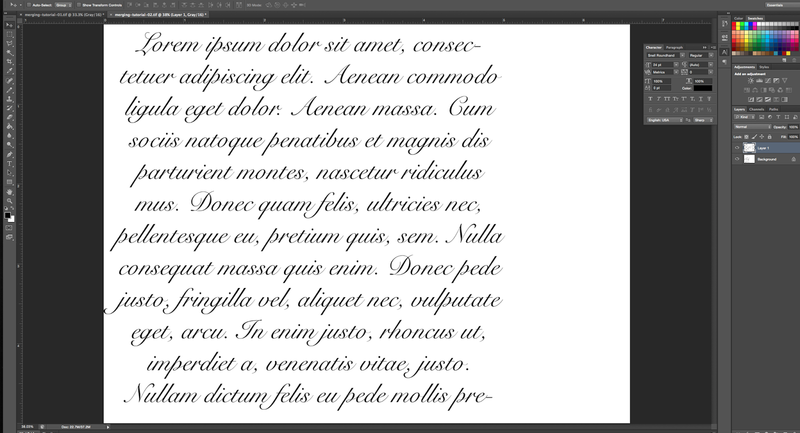 The idea is that the build up of inks will create a richer black or dark ink. This works best with transparent inks. 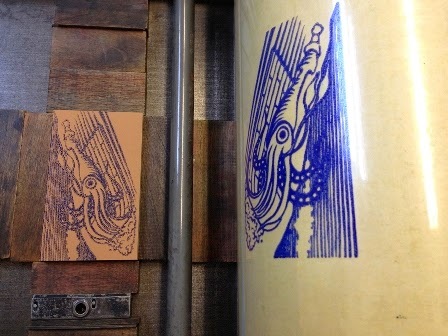 When I finished printing the first run and before I cleaned the ink off the block and press I transferred the inked image onto a blank linoleum block of the same size. This would be my guide for carving the block for the next color—the light green-blue. To do this I ran the press over the block without paper, thereby printing the block right onto the mylar we always have around the cylinder of the press as the draw-sheet and part of the packing. Then I removed the first color block and put the blank block in its place on the press bed. 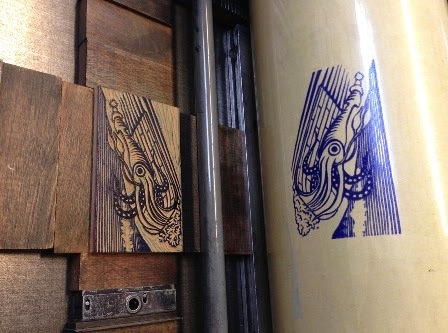 I ran the press over this block, transferring the ink from the mylar to the uncarved block. 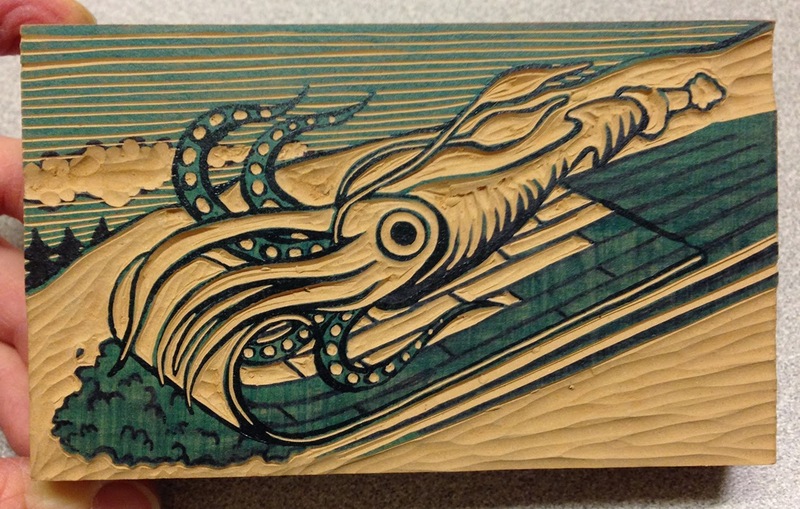 I carefully took the inked, uncarved block off the press and set it aside to dry over night. With the image transferred onto the new block, I traced with a sharpie where I wanted my new color to be in relation to the already printed first color. In other words, I traced around the snow, the cloud, inside the squid’s eye and just delineated everywhere I wanted the new color and where I didn’t want it. Then I carved just as I did before to create the block for the new color. In this photo you can see this step as I did it for the third color block. 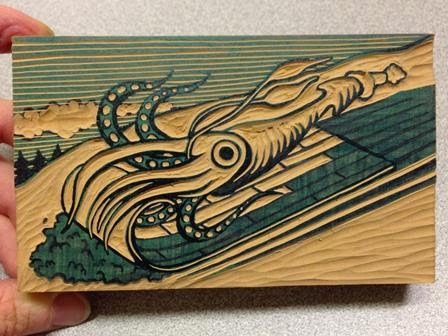 Here it is printed by itself so you can get an idea of what I carved and left raised to print. The ink is a rubber-based ink with quite a bit of transparent base (or transparent white) mixed in with color I made. The transparent base is like the ink without the pigment-just transparent goo. This makes for a lighter, transparent color. I set up the second block in the same exact position on the press bed as the first block. I had to break down the press in between runs, so I made careful notes and measurements of where everything was before taking apart my lock-up. It also helps to take pictures to make it easier to rebuild the lock-up. With everything in place I made a proof—admired my work and removed the unwanted bits. Once I had what I wanted I printed the second color. To prepare for the third color block I transferred ink from the first block onto another blank uncarved block. 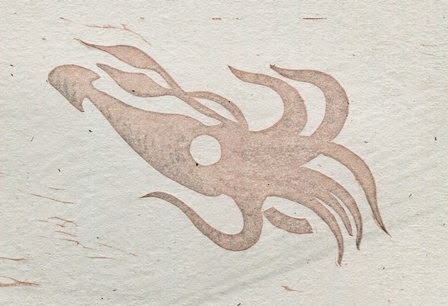 The block that prints the darkest color and most detail is called the “key block”—in this case it was the first block. I wanted to use the key block to guide me in my carving for the third color because it had the most information or detail. I think for this print the second block would have worked well to transfer from too, but that’s not always the case. 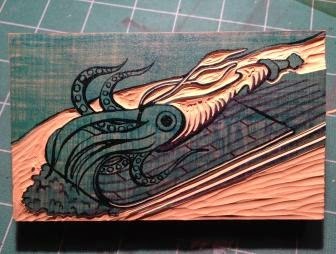 Once I had the image on the third block, I was able to carve away everything but the squid where I wanted the pinkish color to be. 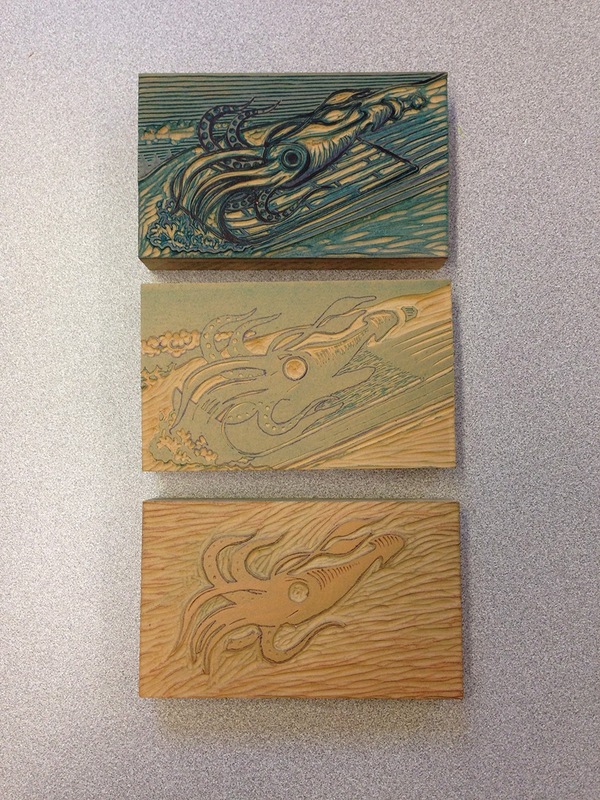 Here’s a picture of all three carved blocks. 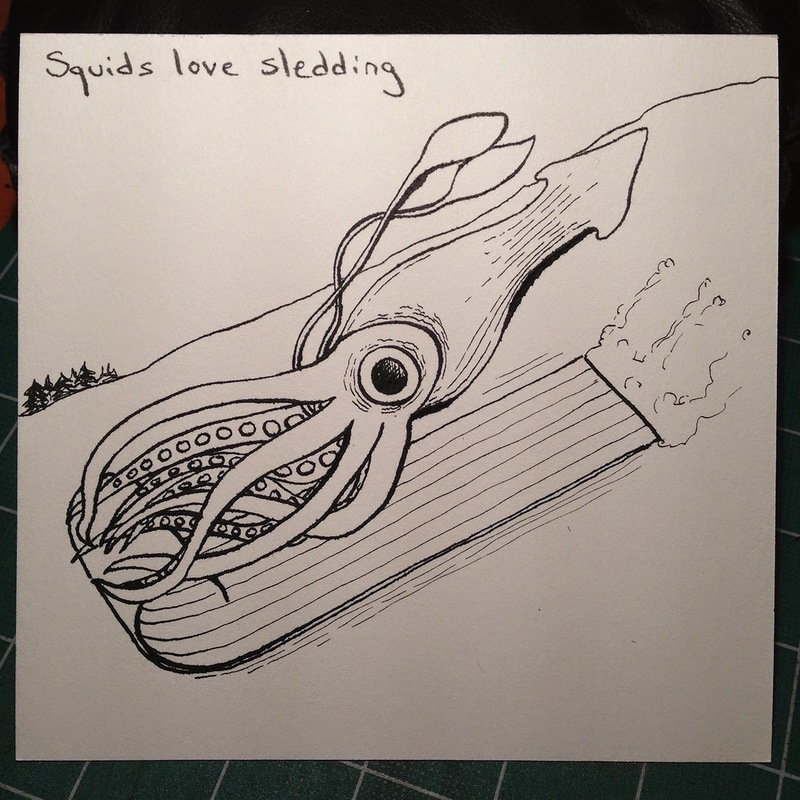 I considered leaving some block raised under the squid so there would be a pinkish shadow under him on the toboggan, but decided against it. I think the quid “pops” more without it. I also debated on whether I wanted to have his suction cups pink or white. To make them white I would have to carve out those little spots again, like I did on the first block. In the end I decided to carve just a tiny bit of those spots out, so there would be a small white highlight on the suction cups. When the blocks are registered perfectly (lined up perfectly) these highlights work great! Here’s what just the third color block looks like printed by itself. You may be wondering how I got such a fabulous squid-pink. Again I used transparent base to make a transparent color. I also used a bit of Rhodomine red, Pantone yellow, Irish Mint green (we have a lot of dark green here! 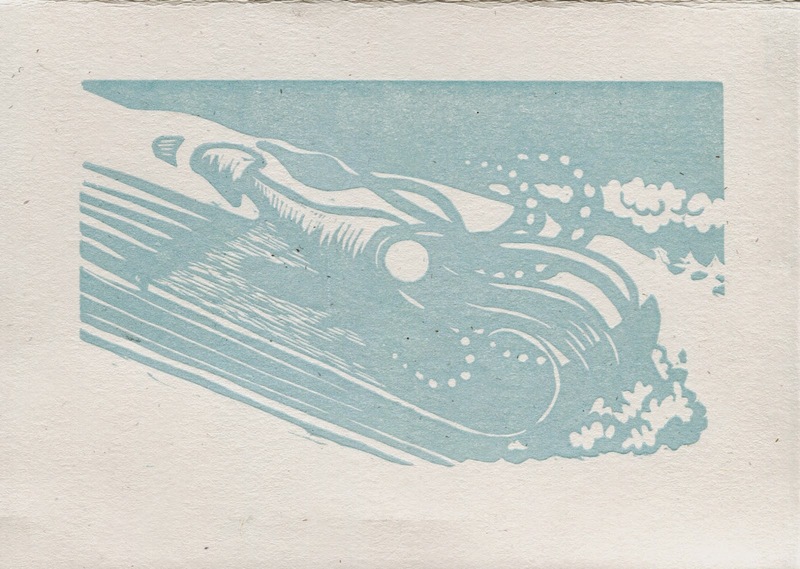 ), a good amount of the mixed light blue I used for the second block and probably some other things. It was a bit of a potion, but just what I wanted. Having gotten everything set in the same place again (block, paper, paper guides, furniture), I printed the third color. I’m particularly excited by the highlights and areas where all three colors are visible. All in all it looks like a happy squid. 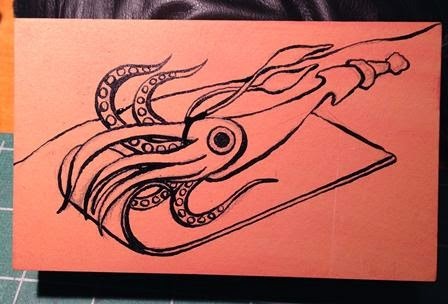 I considered leaving some block raised under the squid so there would be a pinkish shadow under him on the toboggan, but decided against it. I think the squid “pops” more without it. I also debated on whether I wanted to have his suction cups pink or white. To make them white I would have to carve out those little spots again, like I did on the first block. In the end I decided to carve just a tiny bit of those spots out, so there would be a small white highlight on the suction cups. When the blocks are registered perfectly (lined up perfectly) these highlights work great! One of the most common problems in digitization is how to deal with an image that is too big for your camera or scanner. The simplest solution is to photograph or scan the object in separate pieces, then merge those pieces together, however this can present its own set of problems to those unfamiliar with imaging software. In this post I will be describing my own method for merging together images. There are many other ways to accomplish these tasks, and if you have a way that works for you, I encourage you to keep using it, but also be aware of its potential pitfalls. The main benefits of my own method are the ability to quality-check your work as you go, and make simple non-destructive edits that can be changed or reversed as needed. Also, for simplicity’s sake, I will be referring to my own Mac OS based workflow for menus and keyboard shortcuts. Here is the whole image that we’re trying to assemble, and for whatever reason, it’s been captured in two side-by-side pieces in the standard .tiff format. It is crucially important, when capturing, to make sure there is overlap between the captures. This is going to help us check how well-aligned our merging is, so the more overlap the better. 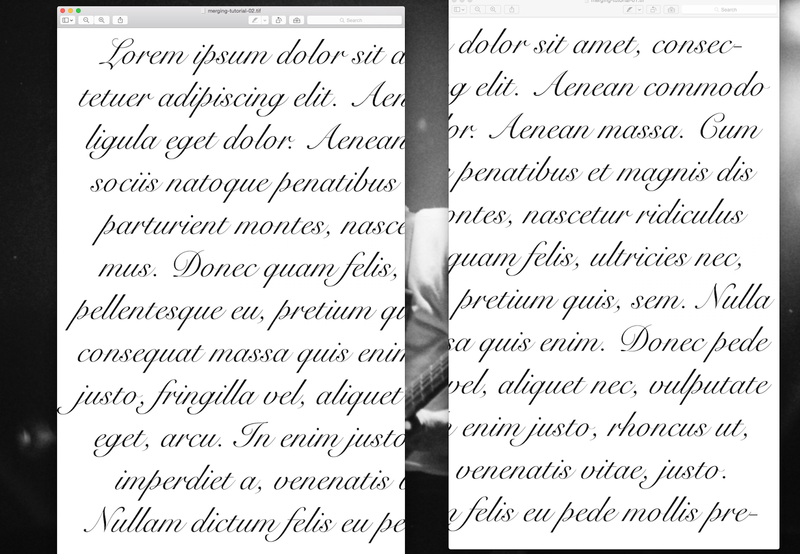 Now that we’ve got our two images, open both in Adobe Photoshop and choose whichever one you want to start working on. I usually go from left to right for simplicity’s sake, so here I will be starting on the left side of the image. In Photoshop, select the Image drop-down file menu, and select “Canvas Size…” (or use the keyboard shortcut: option+command+C). Click on the canvas width field, and double it. 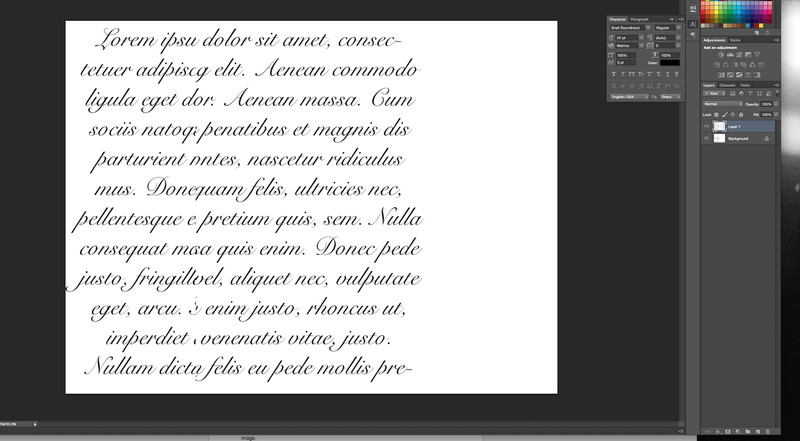 In the “Anchor” field, select the leftmost column of the grid so that Photoshop knows where to put the empty space. It will end up a little wider than is necessary, but it’ll be easier to trim it down after the fact than to add more space. This will now become our “master” file. Do a “Save As” at this point and designate it as such. Next, go to the second image that we are going to merge into the master (in this case, the right side image). The next step should be familiar to most computer users: select all of the image (command+A), and copy it to the clipboard (command+C). Then go back to the master file and use paste (command+V) to add it into the image. If you’re paying attention, you’ll obviously notice that this new image is not in the correct position. However, by looking at the Layers panel on the right side of Photoshop you’ll see that the new image is on its own layer, resting on top of the background (if you do not see the Layers panel, select the “Window” drop-down menu and enable “Layers” there). 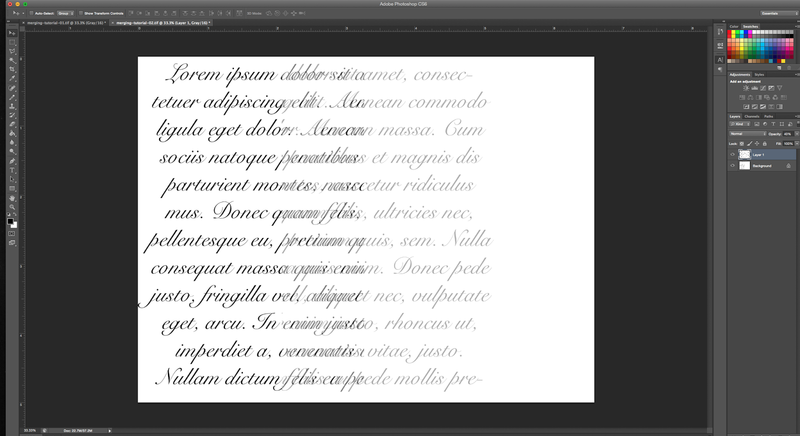 Thus we can edit it without disturbing the original “bottom” layer. 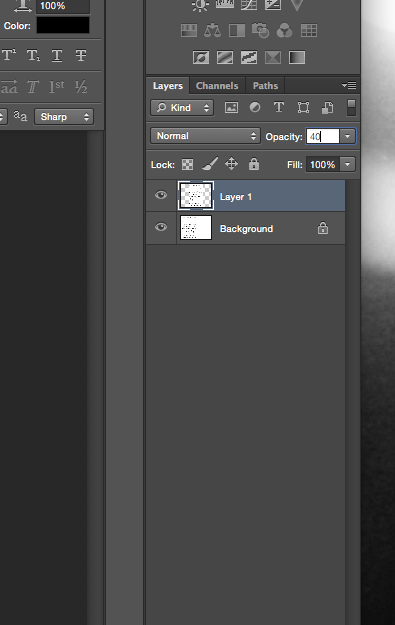 Now, with the top layer selected, click on the “Opacity” field in the Layers panel and set it to 40%. This will make the top layer semi-transparent and allow us to line it up with the bottom layer. Then, with the Move tool selected (V), begin moving the top layer around and trying to find where it lines up. Look for any solid shapes that are shared by both images, or where the borders intersect. 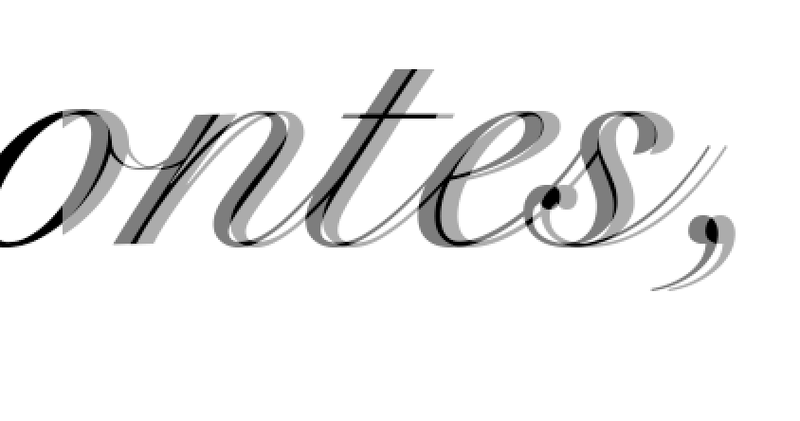 Letterforms provide nice clear and easily-spottable shapes, which is why I have used them in this example, but it can be anything so long as it’s shared by both images. We’re getting there, but it’s obviously still not right. At this point, find an area of overlap and zoom in closely. Then, with both the top layer and the move tool selected, simply “nudge” the top layer into place using the arrow keys. The arrow keys will only move the layer one pixel at a time, so obviously this is for the finest level of adjustments. Now for the final steps! 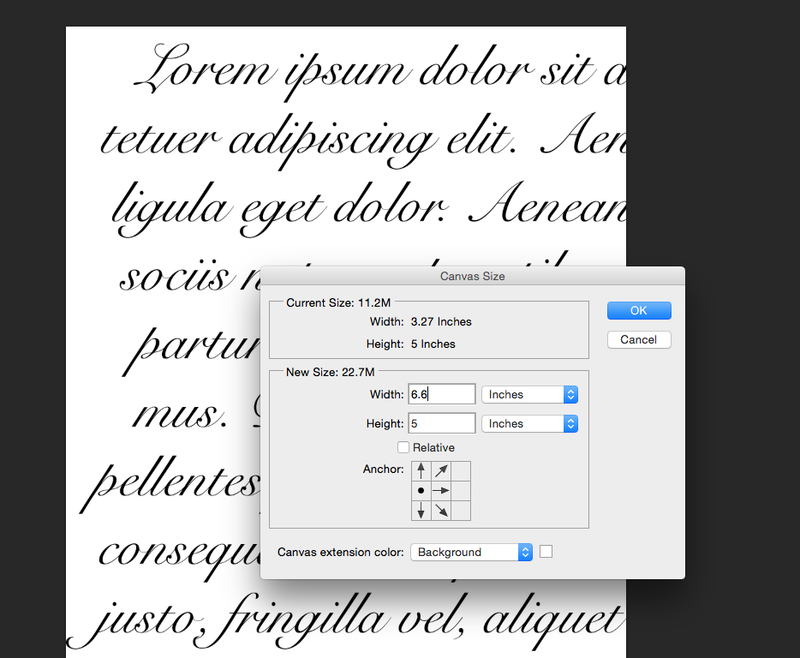 In the layers panel, set the top layer’s opacity back to 100%. 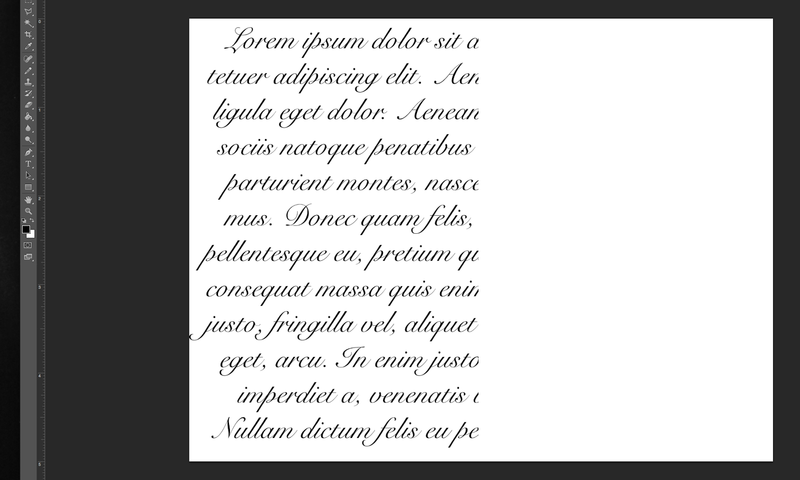 Then inspect the images along the borders, making sure that it looks seamless. While checking for quality be sure to zoom in and out. At this point you can crop the image down to its original size, and it will be ready to go. However, one important piece to remember is that layered .tiffs, in addition to simply being larger files, are also not commonly supported by web or other software. What I like to do at this point is to save the “Master” file with both layers, and then create a new version for common use. The common use version will get flattened (Layer -> Flatten Image) then do a Save As in whatever format is required such as .jpeg or .pdf. This way, if any changes need to be made, we can always go back to the Master version. And there you have it! A nice, seamless image. In the next post in this series, I will go into more detail for dealing with other problems, such as skew and mismatched backgrounds or details. 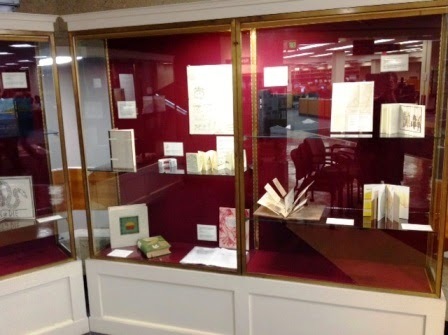 On October 8th, 2014, Stephanie Wolff and I were invited to the University of Vermont to give a talk about the Geographies: New England Book Work exhibit and to share our techniques and approaches to our own work. 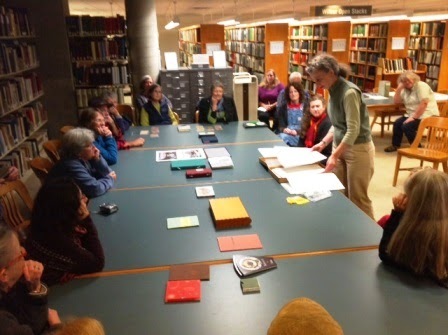 The event was coordinated with the recent meeting of the Book Arts Guild of Vermont at their annual meeting to view special collections material. Prudence Doherty, Public Services Librarian, was our host and very generously brought out many items from the Library’s collection which also related to the theme of New England. 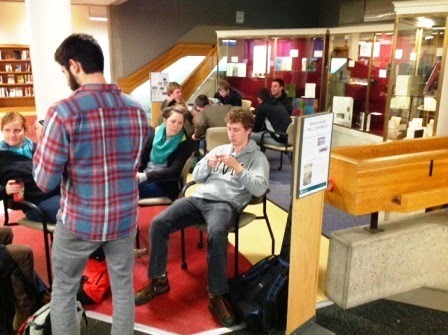 Upon our arrival the exhibit space was nicely occupied by students, hopefully some of them had taken the time to consider some of the items in the cases! Here is a 180 of the three cases displaying the work. It’s not often that exhibitors get to see what the shows look like as a whole and this one was especially well displayed, thanks to Stephanie Wolff and Linda Lembke. The first part of the program Stephanie and I talked about the show and highlighted the various techniques and expressions of creativity that were reflected in the bindings. Prudence, opened up the cases so we were able to really show the books in more detail, taking turns to point out the special features of many of the bindings. The show displays a wonderful array of fine bindings as opposed to artist’s books so we had an exploratory dialogue on the nuances between those two factions of binding approaches. After our time at the exhibit we retreated downstairs to Special Collections where Stephanie and I talked about our work. 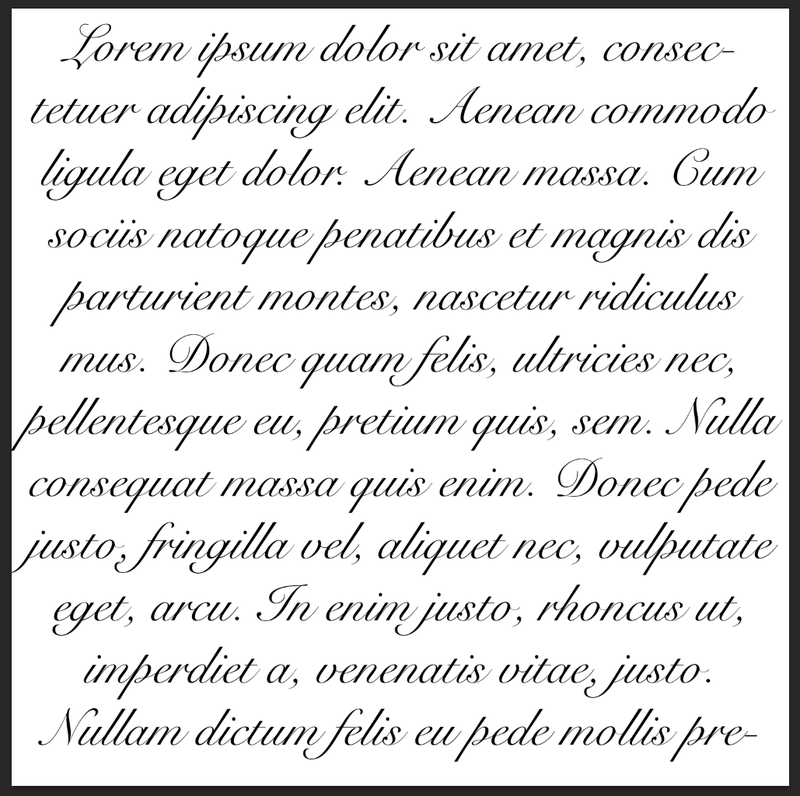 I come from a more traditional approach where I will always select a text and create a binding that reflects the contents. Stephanie on the other hand will take great pains and process to create the whole entity of her work. She brought to share all of her “story boards” that illustrated her voyage from concept to finished product. As a look into an artist’s creativity this was a wonderful opportunity to really see how these wonderful bindings come to be. After our talk we stayed a bit to look at the wonderful items that had been placed on the table and had a pleasant visit with many of the members. 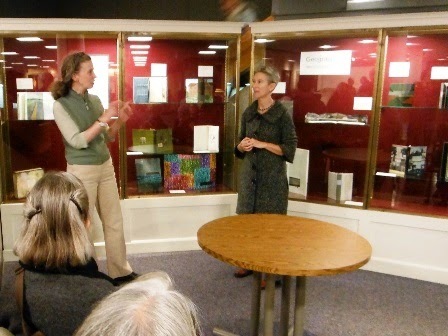 I thank Prudence and the Book Arts Guild of Vermont for this opportunity to come together. 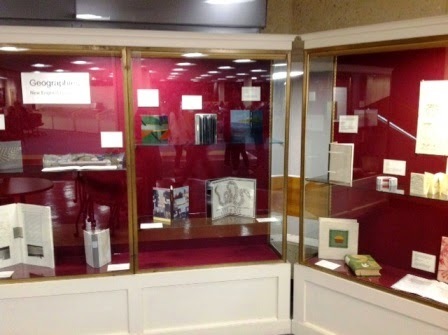 For more information about the exhibition, check out the Guild of Book Worker’s New England Chapter website. The exhibit will be at the Bailey/Howe Library at the University of Vermont, Burlington, VT through December 12, 2014. The American Library Association annual conference concluded in early July and while at the conference I gave a presentation to the Book and Paper Interest Group of the Preservation and Reformatting Section of the Association for Library Collections & Technical Services. The theme was "Space Oddity" and the presentation had to be given in an Ignite Talk style, in our case 15 slides at 20 seconds each for a total of 5 minutes. What follows are the slides and my comments for each. 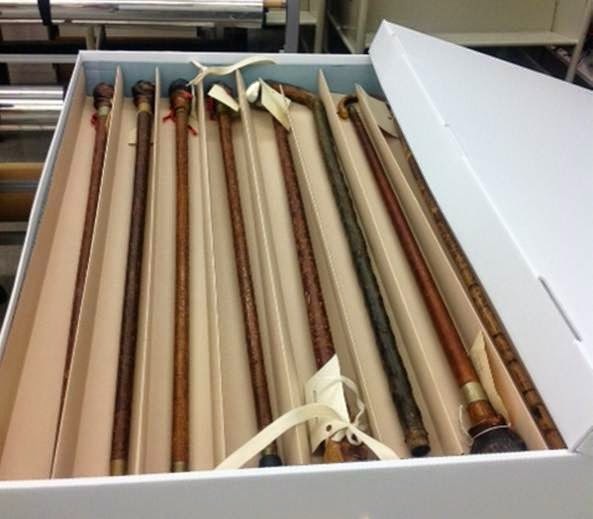 This storage solution for Dartmouth's collection of canes was created by North Bennet Street School summer interns, Becky Koch and Laren Schott, with oversight from Deborah Howe, the Collections Conservator. The problem was how to store these wooden canes. 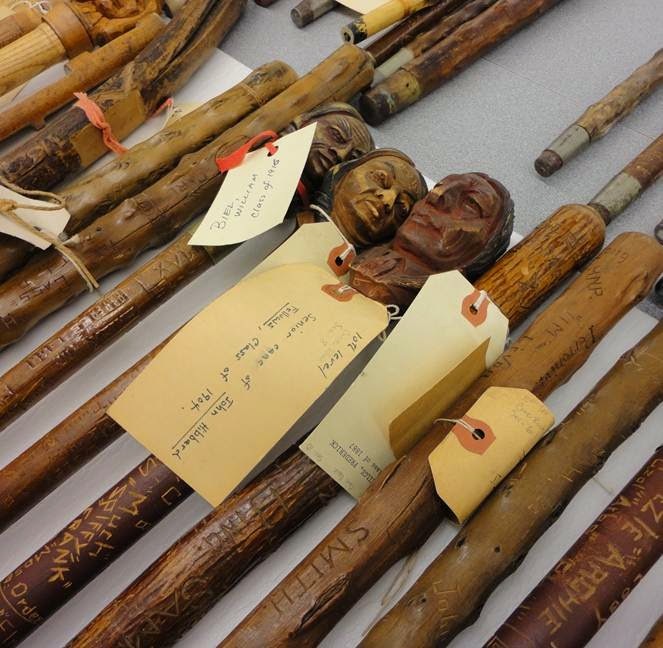 The bulk of the collection were canes hand carved by Dartmouth students during their senior year. The most common embellishment of the cane head is what is know as the "Indian Head Cane". 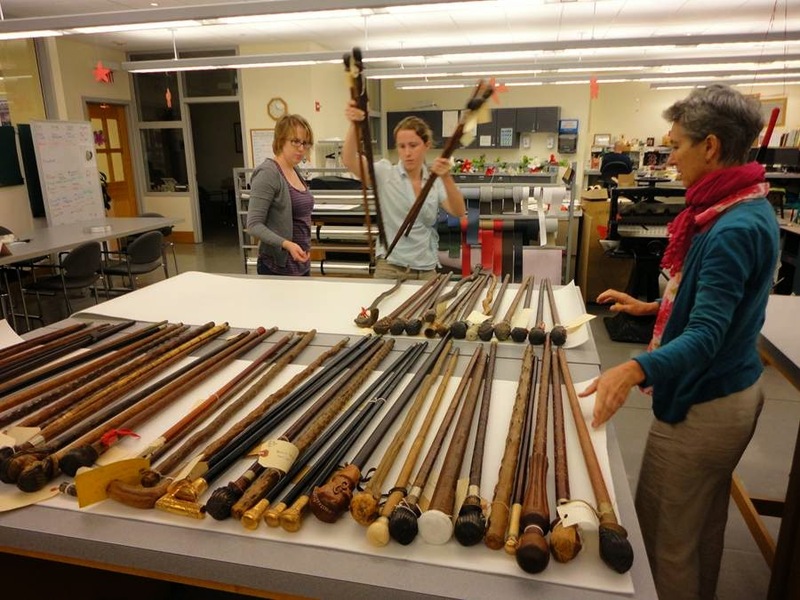 Here Deborah and the interns are arranging the canes by size. 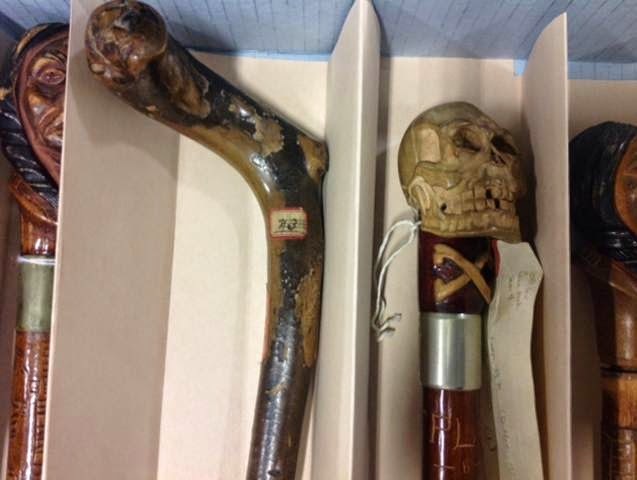 Prior to this treatment the canes were stored in a type of umbrella stand with open sides and very little protection. The canes were not stable and would slip and slide within the stand. The enclosure solution used both pre-made boxes and custom fit inserts. To begin, the canes were sorted by size. 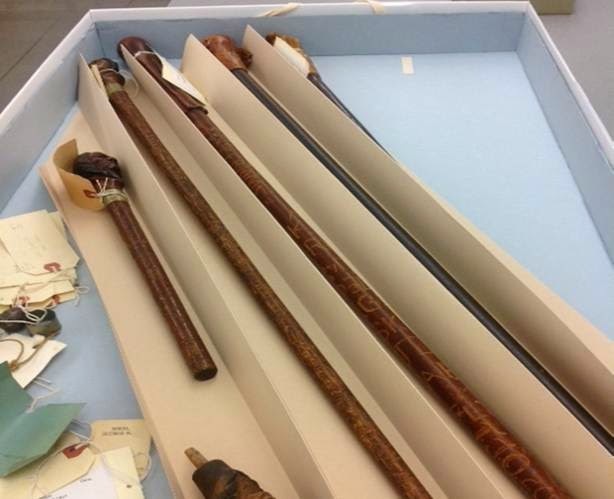 Most of the canes were a standard length. 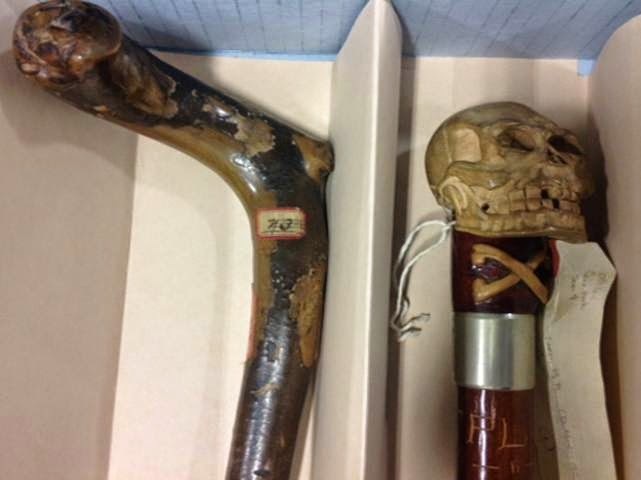 The canes were surfaced cleaned prior to rehousing them. To surface clean them our interns took dry and sometimes slightly moistened (with water) cotton swabs and wiped away soot and dust. No repairs were necessary. All of the canes were in generally good shape. The housing solution consisted of adapting a pre-made box to hold an insert tray, and thus created two layers for storage: a bottom layer and the insert tray forming the second layer. 38 inches x 24 inches, and about 6 inches deep. Using heavy, natural cotton webbing, handles for the pre-made box were created and reinforded with Vyvek to help support the weight. 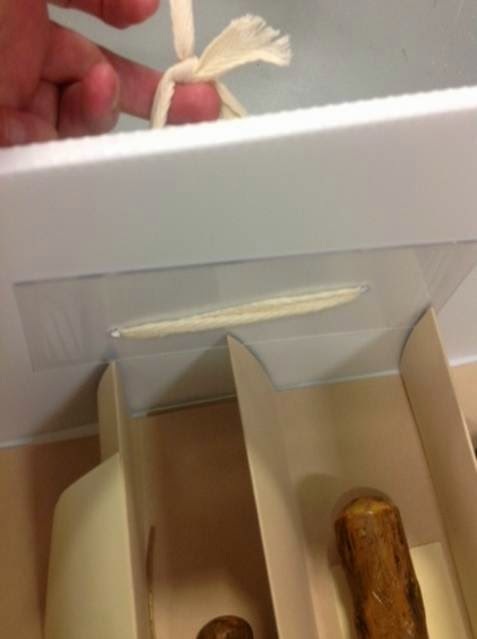 The Vyvek is shown inside the box, where the cloth webbing is threaded through. Deborah suggests that in the next iteration of this box she would improve it by adding support stops for the insert tray to the pre-made box. 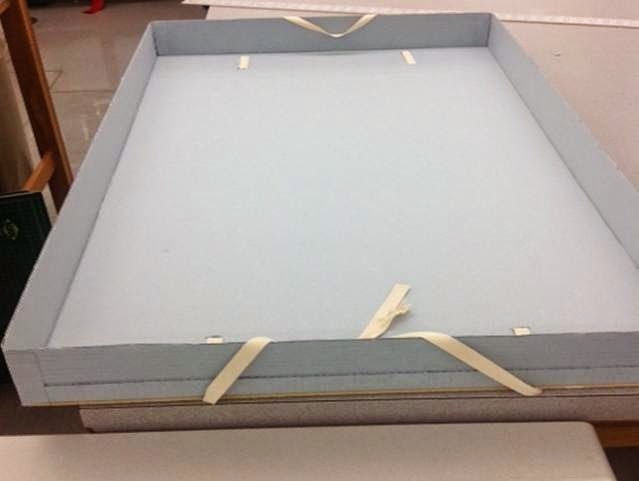 The insert tray was fabricated from 2 pieces of blue, acid free corrugated board. Adaptations were made because a single sheet was not large enough to build the walls up. 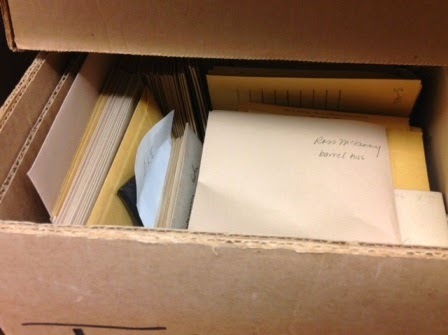 For the insert box special attention was also paid in building handles that could withstand the weight of the canes. To do this the cotton webbing was threaded through the bottom of the tray that had been reinforced with a layer of 40pt board for extra support. 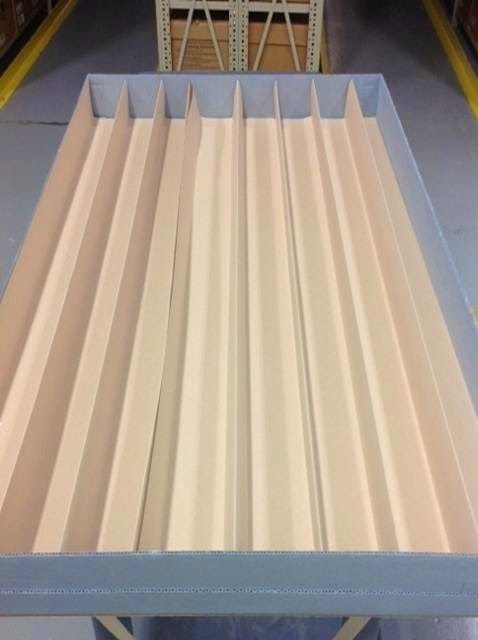 In order to separate the canes from each other dividers were made from 10 point map folder stock. The folder stock was creased and folded to create a pocket. Each pocket was about 2 inches deep and 3 inches wide. 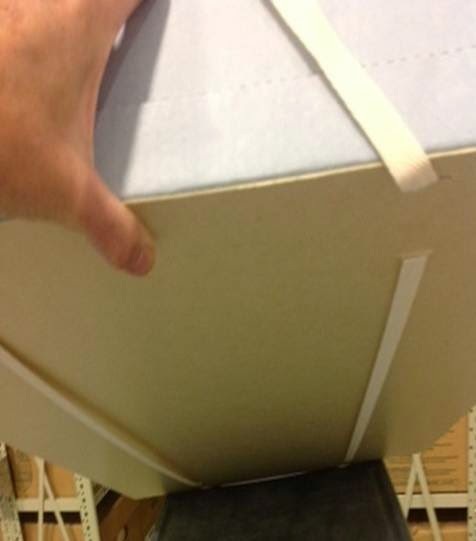 Two pieces of folder stock were needed to create each divider layer. 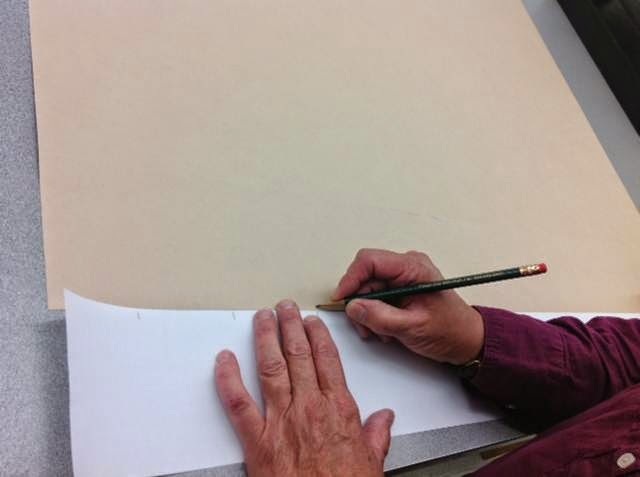 To construct the dividers score lines were determined and a pattern was made from a strip of paper. These marks were transferred to the 10 point folder stock. Both short edges of the 10 point were marked, then the pencil marks were lined up on the edge of the table. 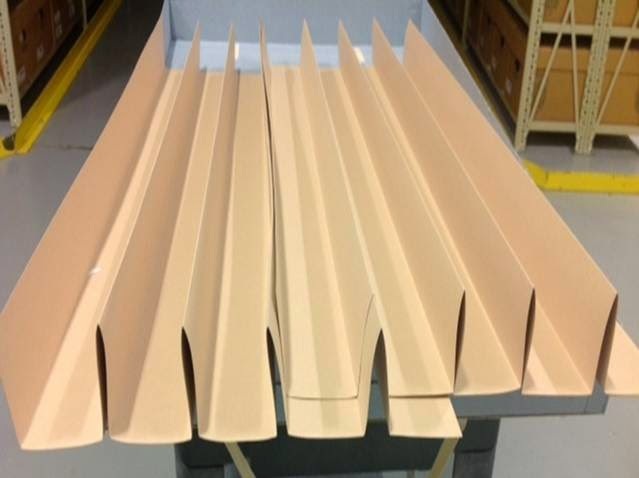 The 10 point was creased cross grain to maximize length and to improve rigidity in the walls of the dividers. Because of the length creasing on the board shear was not possible. The dividers were placed on both the bottom layer and the insert tray. They were not attached in any way – although they could be if desired. Deborah suggests sliding in 40 point strips inside the divider walls to give additional support and rigidity. With the dividers in place the canes were arranged on each layer and the insert tray placed on top. 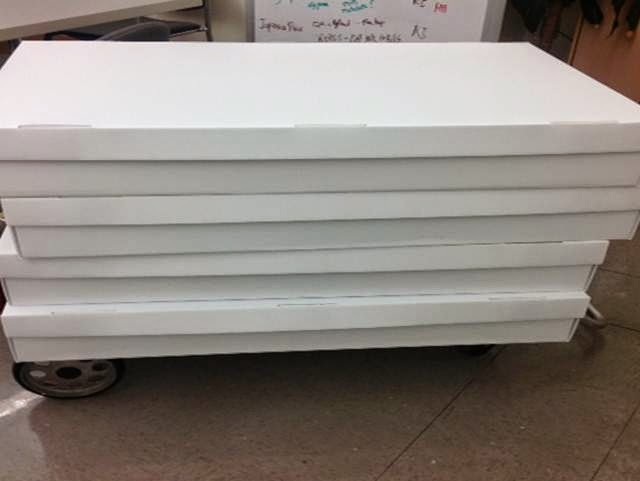 Each box can hold 16 canes: 2 layers of 8 canes each. When each box set was constructed it was bar coded and labeled with the archival series number. 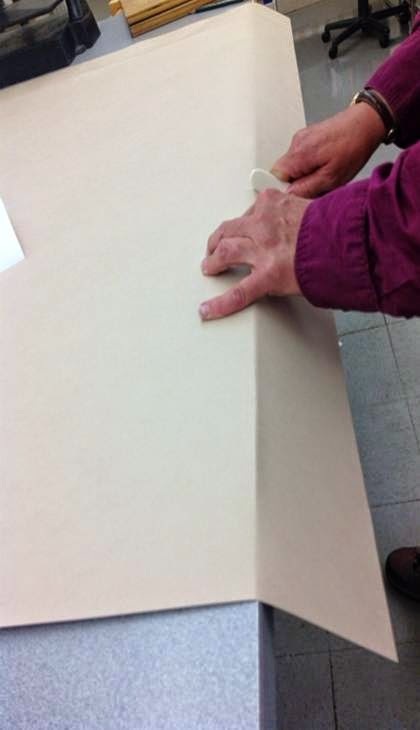 Insert layer in the box with divider and canes. There were also canes of irregular size: longer than the rest or with heads that made it difficult to apply a standard approach. For these canes the divider was placed diagonally in the box and the canes arranged accordingly. 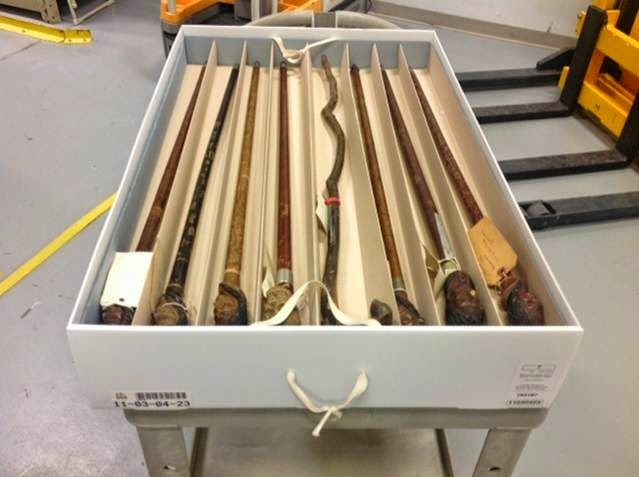 By the end of the project over 100 canes were cleaned and stored in 8 custom boxes for 24 linear feet, and shelved in the Special Collections remote storage facility. 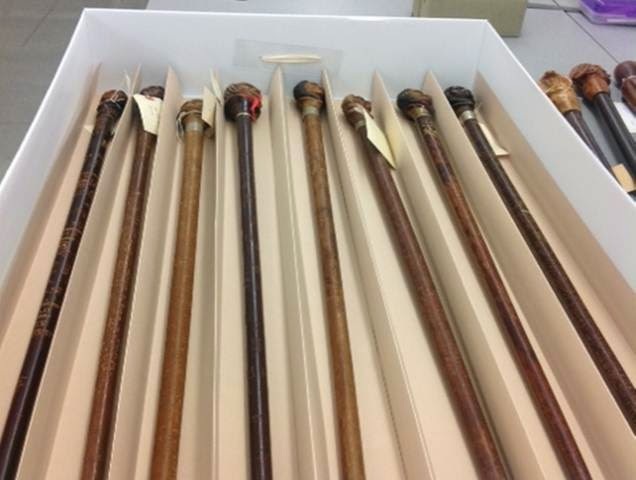 A finding aid for the cane collection now lists the canes by individual box number thus improving not only the storage but also making it easier to retrieve a single cane. 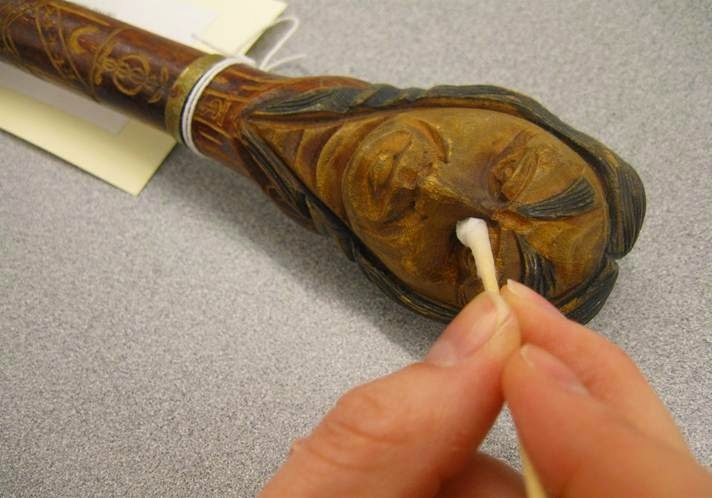 By this single conservation treatment both storage and retrieval have been improved. Thanks to Deborah Howe for collaborating with me to create this Ignite Talk and to Becky Koch and Lauren Schott who designed this storage solution. We are very excited to announce that Dartmouth College Library has joined the National Digital Stewardship Alliance (NDSA), a consortium of organizations that are committed to the long-term preservation of digital information. The mission of the NDSA is to establish, maintain, and advance the capacity to preserve our nation's digital resources for the benefit of present and future generations. Members include universities, consortia, professional societies, commercial businesses, professional associations, and government agencies at the federal, state, and local level. I am very excited to join the Standards and Practices Working Group, which works to "facilitate a community-wide understanding of the role and benefit of standards in digital preservation and how to use them effectively to ensure durable and usable collections." Projects undertaken by this group include a report on "The Benefits and Risks of the PDF/A-3 File Format for Archival Institutions"and a recent survey assessing stumbling blocks for video preservation. This past July I had the great opportunity to attend the Northeast Document Conservation Center’s Digital Directions 2014 conference. 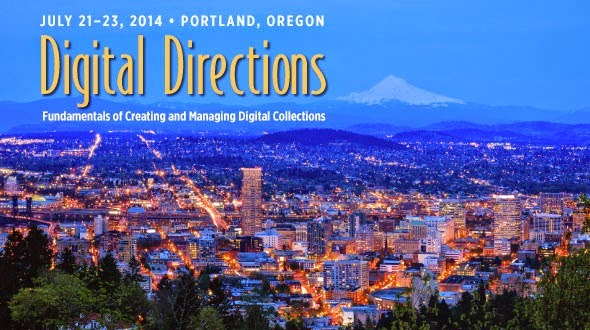 In a lucky turn, this year’s conference was held in Portland, Oregon, home of my alma mater, Reed College. 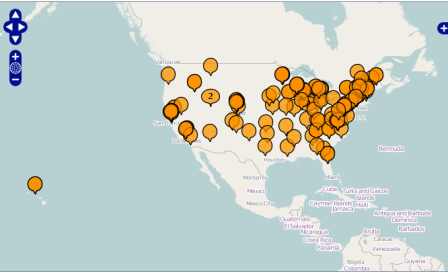 In addition to reexperiencing the highlights of one of my favorite American cities, I was able to meet and engage with many people doing amazing work in digital collections across the country and beyond. The conference covered a fascinating diversity of topics, from high-level project management and planning to specific examples of workflows and equipment setups. One of the first things impressed upon me was the fascinating diversity of digitization efforts occurring across the world. As the demand for digital content continues to expand, many institutions are rushing to fill that need. Because of this, it can often seem that no two institutions’ digital programs are the same, or even particularly similar. To its credit, the Digital Directions did a phenomenal job accounting for these various setups. The three days were jam-packed with a fascinating variety of discussion topics and presentations. The first day consisted of mostly big-picture type talks. We discussed the interplay between digital preservation (maintenance of access to digital content) and digital curation (adding value to digital content), as well as how to craft each institution’s best practices and standards according to their needs. The day was wrapped up with an impressively no-nonsense discussion about rights and responsibilities from a legal perspective by Peter Hirtle, followed by a lovely meet-and-greet at the Portland Art Museum. The following days covered a wide variety of topics, including a fascinating section about audio and video digitization (an area unfortunately outside my range of experience). However, it soon became apparent that the challenges faced by those audio and video digitization teams were remarkably similar to my own in the world of object and document reproduction. Many digitization projects face the same fundamental roadblocks: time, equipment, resources, access, and storage. While the specifics varied, these fundamental issues could not help but make themselves apparent. The relative merits of, say, cloud storage (to pick a random example), can be endlessly debated among digital librarians, and indeed I’d doubt there ever will be a definitive final-word on this topic. But the crucial takeaway must be a willingness to engage with these issues, understanding the risks and drawbacks inherent in each option so that they can be minimized, or at the very least understood fully so that we may deal with them more effectively in the future. Among the many useful things I learned at Digital Directions 2014, perhaps the most important one was that my own peers are an incredible resource, both within Dartmouth and world-wide. By learning through their experiences and sharing my own, I hope to do my part to keep the Dartmouth Library’s Digital Collection growing and improving well into the future. Maxed out our master file server space. Learned about awesome projects and connected with colleagues at Digital Preservation 2014. Made some head-way into assessing our e-resource preservation strategies. Used BagItto package 45,000 files totaling 2413 GB for long-term storage (see above re: maxing out server space). Started digging into PREMIS . Learned to harness the power of Twitter for professional research #digipres . Started brainstorming strategies for preserving analog and born-digital a/v content. Dipped my toes into web and database preservation in response to a faculty inquiry. Got really excited about sustainability and digital humanities projects. I’m looking forward to my role in the Library continuing to evolve and grow over time. As these and other projects develop, I will tell you all about them here. Stay tuned for the next 100-ish days of Digital Preservation! Published on September 15, 2014 September 15, 2014 Author Preservation ServicesCategories Preservation ServicesLeave a comment on Kress Conservation Fellow Tessa Gadomski arrives! repaired and possible stabilization of photo. I am pleased to announce, on behalf of Preservation Services, that we are a recipient of a Kress Conservation Fellowship. “The Kress Conservation Fellowships provide competitive grants to museums and other conservation facilities which sponsor supervised internships in the conservation of specific objects and onsite training.” This Fellowship has been supported by a grant from the Foundation of the American Institute for Conservation, funded by the Samuel H. Kress Foundation. Our application was submitted with a proposed fellow, Tessa Gadomski, who recently graduated with a Master of Science in Art Conservation from the Winterthur/University of Delaware Program in Art Conservation, University of Delaware with a major in Library and Archives Materials. Along with this degree, she has also completed a Certificate of Advanced Study in Preservation from Simmons College, Graduate School of Library and Information Science. Tessa’s first day will be the 8th of September, 2014. 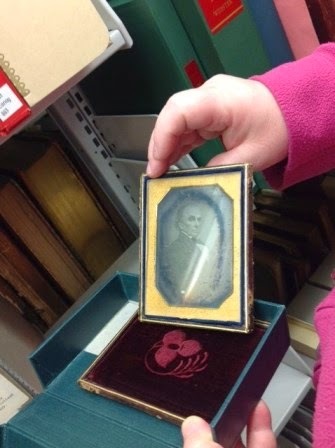 The primary focus for Tessa will be to address conservation needs of Rauner’s Iconography collection. 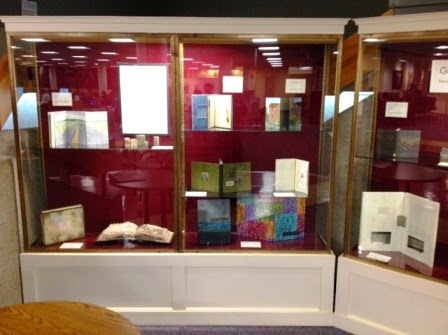 This collection within Special Collections has over 1,300 cataloged items that include printed images, glass slides, original art on paper and other media, photographs, albums and digital files. 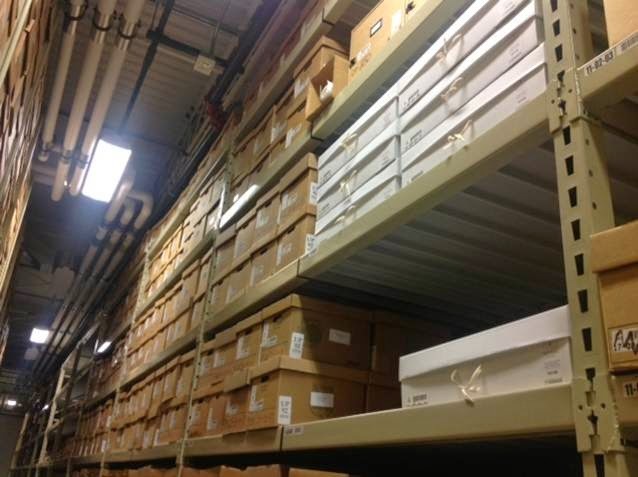 There are documents that are part of the College Archives but it also includes several of the other collecting areas including the White Mountains, Daniel Webster and Robert Frost. 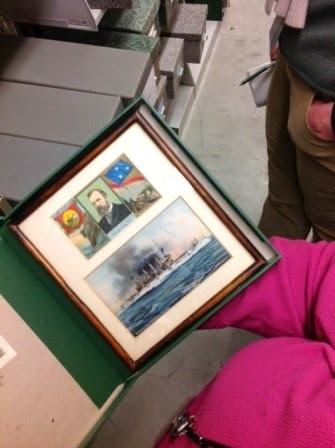 A particularly significant subcategory of the collection is focused on the history of Polar exploration and the majority of its images relate to Dartmouth College and New Hampshire history. 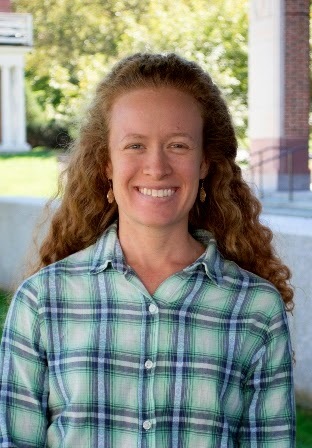 Tessa will be at Dartmouth for a full year, concluding her Fellowship in August of 2015.